I don’t go to blog things often. It’s not a rule; it’s a lifestyle choice. I don’t have to remind you the name of the blog. Hollie does – and invites me to plenty of things both before I joined the gang and since – but I’ve usually got other things on. However, a bag of opportunities have crept up on me lately. It all started when I got tickets to the Bloggers Ball (which I unfortunately didn’t manage to attend, although Ellen and Kriselle did filled me in on the happenings). I then ended up at a department store’s AW17 press day. A week on, I went and ODed on offline blog activity, with an evening of fun. It’s a +1 flex. 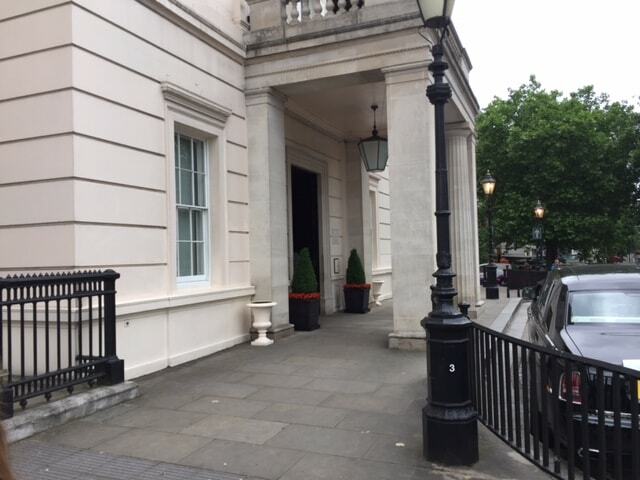 The Lanesborough was the venue. The occasion was the launch of Blogosphere’s latest issue. Proper fancy hotel. Proper fancy food. It was propah! I believe the invite was earned because Hollie’s got a whole page in there, talking about her blogging journey and whatnot. The Blogosphere team do great things, as this occasion showcased. If you’re unfamiliar, Blogosphere is a magazine about lifestyle bloggers and vloggers in the UK. It’s a legit, physical one you can buy in WHSmith and everything. I’ve bought a couple of copies over the past year, and couldn’t help but be impressed by the quality of it, and the fact that they’ve gone to such lengths to reflect the many voices, specialities and niches out there today. We had to dip in and out of the venue, because time was tight. However, that didn’t stop Hollie getting chance to grab Louise Pentland to eat cheese balls and discuss babies together. To even get an idea like that off the ground and continue to pick up momentum is impressive. Go grab yourself a copy here. Ubered on over to the May Fair Hotel straight after. I’ve never been there before, but I had a client last year that needed a detailed case study a boiler-related incident there. (Don’t ask). Again, big ol’ building. Very impressive. Hail up the guys on the door. 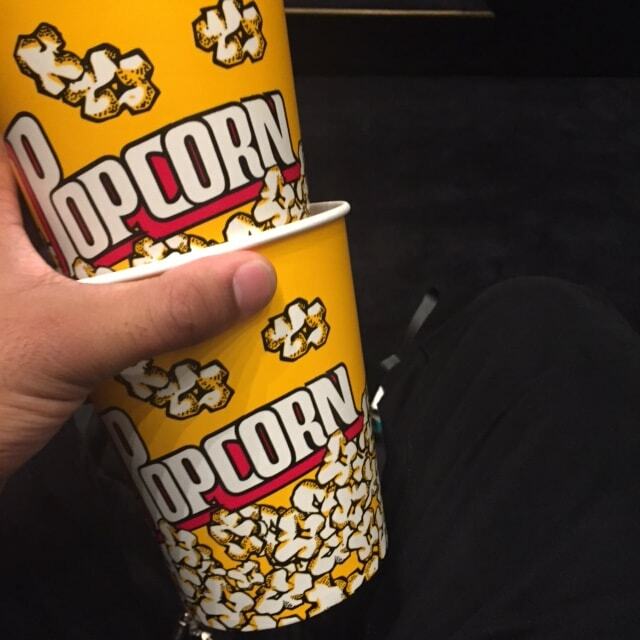 We landed just before the lights were dimmed, equipped with popcorn, and a pair of 3D glasses. It was another blogger-filled room, this time found in a neatly tucked-away private cinema at the hotel. We got to see The Mummy just before it hit the rest of the country. 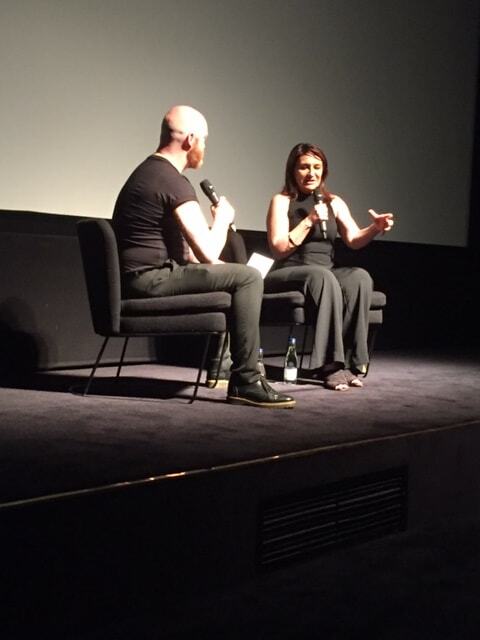 Afterwards, Lizzie Georgiou gave us insight on how to coordinate a make-up conveyor belt of undead. It was fascinating and makes you realise how much of the details we overlook in big budget flicks like this. I thought The Mummy was great, but I apparently don’t watch enough to have an opinion on them. I came out thinking it was amazing, but the reviews were saying a different story. My bad. I’m saying it was better than the original, and you should just go and see it for yourself.